The association between the VMCC and Bonhams goes back many years, during which time the enjoyment of old motorcycles as a leisure pursuit has continued to grow amongst generations of enthusiasts worldwide. 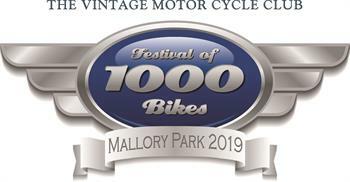 The VMCC’s achievements since its inception on that blustery day in 1946 are truly commendable and Bonhams is delighted to share the ideals of the world’s largest and most esteemed club devoted to Vintage motorcycles. We take great pride in sponsoring the Banbury Run and the British Historic Racing series. Bonhams offers you the services of a formidable but wholly approachable team of enthusiasts, our broad experience and library resources ensuring sound knowledge of the market right through from Pioneer machines to classic Japanese racers. Participation in a Bonhams motorcycle sale ensures, for both buyer and seller, friendly and professional advice, our network of national and international offices and representatives work together to give each auction the maximum marketing, publicity and exposure to the collectors’ motorcycle market worldwide. To discuss in confidence any aspect of buying or selling collectors motorcycles at auction, please contact your nearest representative, the London office or visit bonhams.com/motorcycles to submit a complimentary auction appraisal request.